For months there has been a campaign gaining momentum. For months voices have cried out as they have watched their homelands destroyed through warfare and depleted of all valuable resources. For months they have requested change and finally, their voices have been heard. An announcement was recently made that has the power to save lives and change the course of history for all time. A new item has been released to the broad public, one that possesses grand and magical properties. None know exactly how the "Drakkar" was created, or what constitutes its being, but what is certain is its properties are truly something to behold. 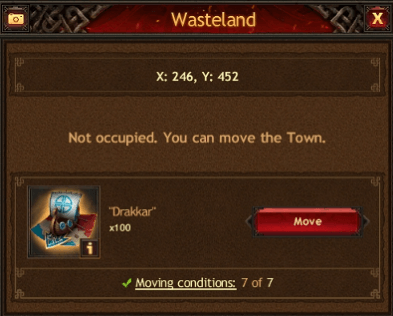 The Drakkar has opened the door to all those who have requested the ability to move their towns to greener pastures and relocate themselves to a new Kingdom. Many have wanted to do this for some time. They have built powerful towns and mighty armies, yet have found themselves in one of the many Kingdoms that has been decimated by war, its population wiped out in the process. This of course has frustrated many, as they have found themselves isolated and alone, in a broad wasteland devoid of human contact almost entirely. Now, with the ability of the Drakkar, they can move their towns to new Kingdoms, but of course, like everything in this world, stipulations do apply. As can be seen above, the Drakkar can only be used on Kingdoms over 100 days old and if you are of certain power and influence. This makes sense, as it is needed to protect our new Kingdoms from mighty titans moving in and wiping out everyone in their path. 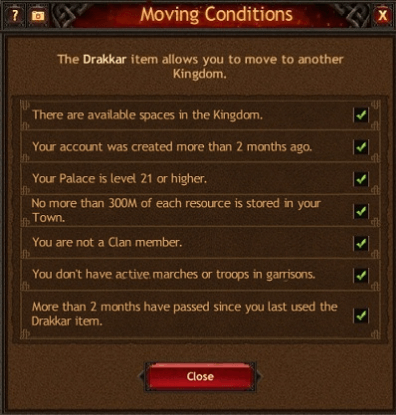 Also, depending on where you are trying to move, the cost of the Drakkar will change and increase. For example, if you are rich in influence and trying to move to a low influence Kingdom, then it will cost more, while if you are trying to move to a heavy influence Kingdom, then it will cost less. Once again this is to protect lesser Kingdoms from annihilation. 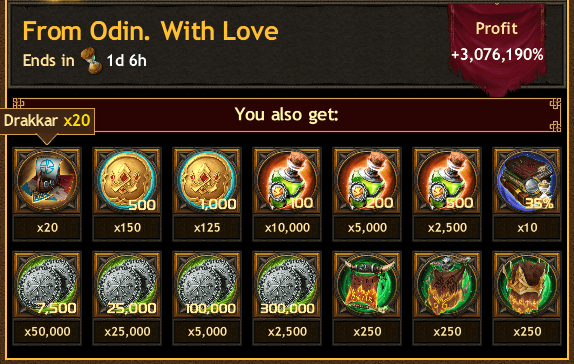 These Drakkars can be purchased from various "bank offers" that you receive and will change depending on the amount of your purchase. 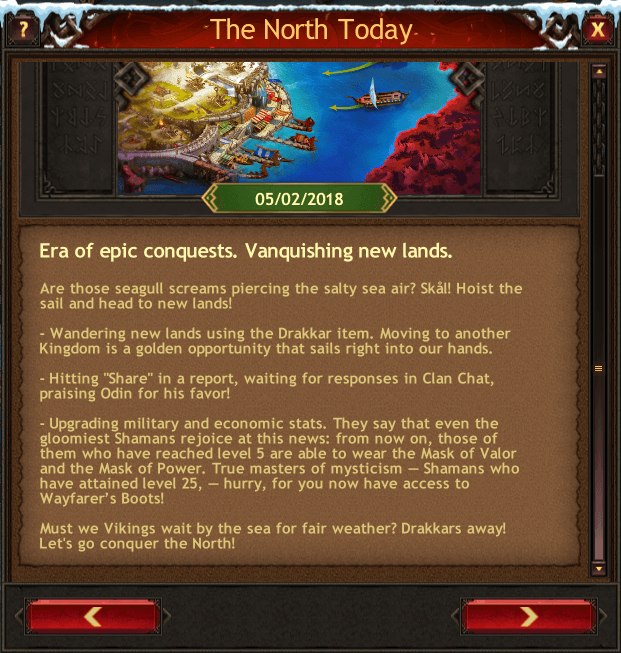 This news has been welcomed with open arms by many, as we truly are moving into a new age for the realm and the citizens that call it home. A new era of conquest is upon us, so prepare yourself and pack your bags, a great journey awaits you!